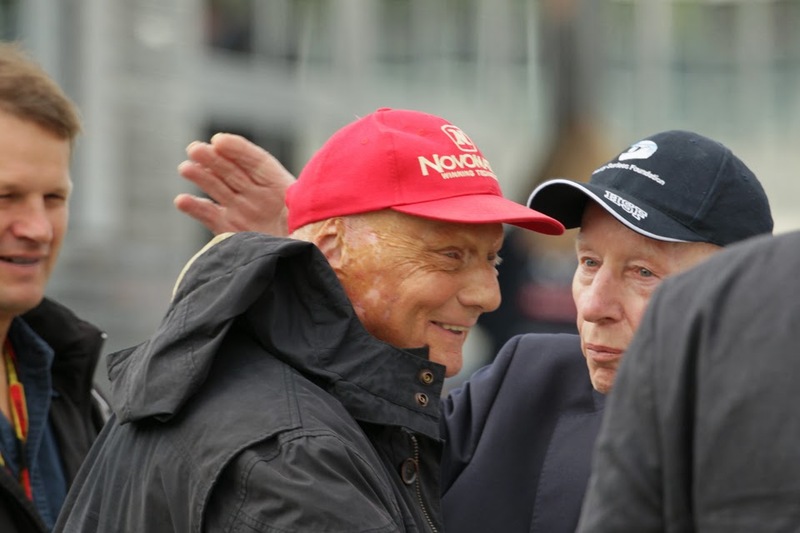 Niki Lauda has had a lot to say recently. Having adopted apparently the role of keeper of the F1 flame (I'm sure he won't mind the potentially touchy choice of phrase - or at least potentially touchy to those less resolute than he). And this is no bad thing for the most part. Candid, brusque, firmly commonsensical. 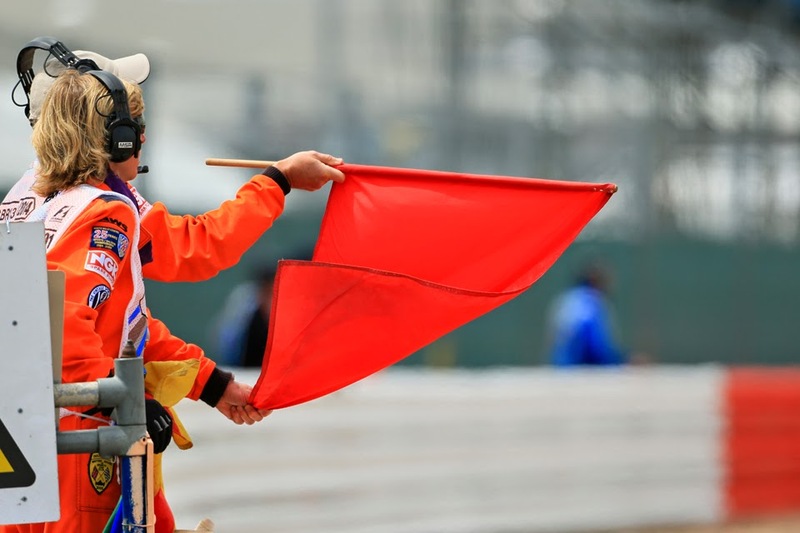 Often his contributions are welcome, such as his recent comments on the stewards' 'over-policing' of F1's on-track battles, or in his criticisms of Kimi Raikkonen 'balls out' return to the track last Sunday, which in both cases many thought were bang on. Sometimes his comments amuse, such as that drivers should sort out their disputes like Nelson Piquet and Eliseo Salazar did. Which those who have long memories or else have seen the YouTube footage know means, um, via fisticuffs. Following last Sunday's race at Silverstone in my view he got it wrong however. It was all to do with the extent of the delay before re-strating following the red flag brought about by Kimi's misadventure, resultant of the time taken fixing the resultant barrier damage. 'This over nursing of F1, being over cautious, over-controlling, drives me mad' Lauda said. 'And this little guardrail issue is another example. Sorry Niki, but I'm not with you on this one. Barrier condition is something absolutely not to be taken lightly. And anything that makes their condition even possibly slightly below top notch can have all sorts of unfortunate consequences, and therefore should be treated with the utmost caution. Niki really should have understood this himself; he certainly doesn't have too many excuses not to. And if he requires some supporting evidence then he could scan back to the early part of his F1 career behind the wheel, in the early 1970s. Then the sad examples of probably avoidable deaths in which sub-standard barriers were a contributory factor to the fatality were disquieting in their frequency. Helmuth Koinigg was killed in an accident because the bottom rail of the barrier he hit was insufficiently secured, resulting in the car going underneath in the upper rail and quite literately decapitating him. Peter Revson died when a bottom rail detached upon impact and the exposed upper rail smashed his head and chest as the car flipped. Francois Cevert was literally cut apart by a dismantled guardrail in effect creating a series of knife edges. In Roger Willamson's death wherein he was burned alive his car flipped in the first place because of a guardrail planted in soft ground, which meant it bend back on impact and in effect turned itself into a launching ramp. More recently I watched the excellent Mario Muth interview with Derek Warwick (which I really recommend you check out - the link is here) in which he outlined that even a number of years later a barrier backing onto a bank, thus meaning it had next to no absorption on impact, was also a contributory factor in his younger brother Paul's death in F2. Lauda went on to say on the matter: 'There is no way that another car would hit in the same place that guardrail', and he's right in the sense that it would have been highly improbable. But as Sherlock Holmes used to remind us, one should not confuse the improbable with the impossible. Just say if a car had subsequently hit the same spot, and if the worse had happened then even over and above the human cost one can only begin to imagine the fallout; the criticism that Silverstone and those in race control would now be facing. And call me Mr Cyncial if you like but I rather suspect in that particular scenario Niki would be singing a very different tune too. All in just over an hour's delay fixing the barrier properly doesn't strike as too much of a sacrifice. Lauda also suggested putting tyres in front of the damaged barrier rather than leaving it exposed. This would have been quicker, and similar is indeed often done in lower formulae at smaller venues. But still, one thinks of Max Mosley's reasoning why he couldn't allow a temporary chicane put into the last corner at Indianapolis during the debacle there of race morning in 2005, that if again the worst had happened and if someone had sued then a judge could very easily say the sport had not followed its own safety procedures of having inspected the track and the like before the race weekend, meaning all sorts of hell would have been wreaked onto F1. Changing the safety arrangements on a whim partway through a race presumably isn't the time to do it. But to reiterate, and all things considered, as such things go it hardly appears a terrible worst case scenario to take an hour out of all of our lives to make sure the safety set-up is fixed properly. Niki should have known better. To go even more recent on the subject of poor design and mounting of armco, Allan Simonsen was killed at Le Mans last year in large part because the barriers on the exit of Tertre Rouge were mounted too close to the trees behind them, creating a situation very similar to Paul Warwick's. It's amazing that these things still happen, so I totally agree that making sure the barriers were replaced properly was entirely justifiable at Silverstone. Very good point re Allan Simonsen Rick. Barriers after all are designed to have some 'give' in them to absorb an impact, and who knows what the dent in it would have done to that?